The Portuguese Labor Party presented a protest vote in the Regional Legislative Assembly, due to the lack of security in the Levadas of the Region. “There are more than 200 passable trails that make the delights of nature lovers and those who visit us. 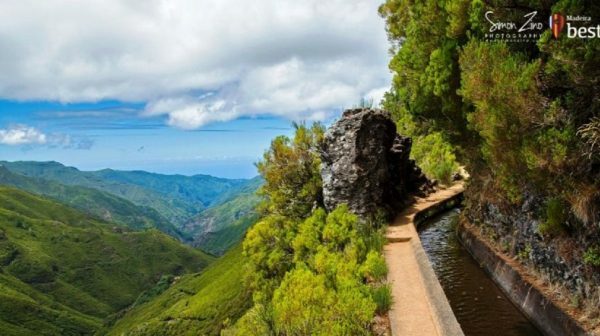 There are a lot of tourists who are looking for Madeira with the sole purpose of hiking along the levadas of the island.But with this increase in demand, unfortunately, we have been confronted more and more with accidents on these routes, most of them avoidable, tarnishing our biggest industry, tourism. We know that the safety on the pedestrian rails of the levadas is very conditioned by the natural conditions, that is, by the geological and climatic part. However, human error also occurs with one of the major causes of accidents, due to lack of knowledge and lack of preparation or even overconfidence. Most of the accidents in the levadas of Madeira occur as a result of falls, by carelessness or by the conditions of the rails, which are often aggravated by uneven terrain and abundant vegetation. Lack of signage outside recommended paths, landslides or falling rocks are other risk factors. Severe climacteric change is also a concern, leading to cases of hypothermia. The lack of information is one of the shortcomings pointed out by both tourism professionals and tourists. There are no brochures to distribute to those who visit us, to warn of the dangers and the care to have on the mountain. Neither are there professionals or information points in the levadas of greater affluence to guide the tourists that make the routes in the mountain of an autonomous form. Only plates with the information about the course are installed “, conveys the press release. The lack of maintenance of the rails along the levadas, the lack of cleaning, the need for numerous arrangements, such as the construction of pavements and support walls, were other factors that determined the PTP’s vehement protest.